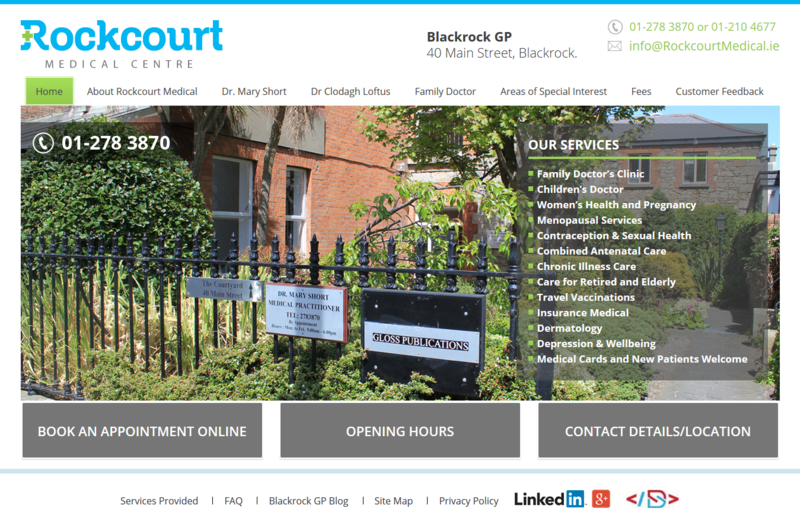 Results to Date: From no website or online presence to a strong and focused local search results, such as top three organic search position for search strings such as: GP Blackrock, Doctor Blackrock, Blackrock GP, Doctors Blackrock, GP Blackrock Dublin, Doctors in Blackrock, Blackrock Doctors, Blackrock Health Centre. Objectives: Design and creation of a logo and brand for the practice, build an online presence and create online awareness for prospective clients on search engines. Specific to localised searches in South County Dublin and Blackrock.